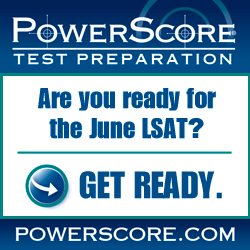 New PowerScore LSAT Self-Study Tools! New tools for LSAT self study: comprehensive study plans and free LSAT test scoring. Learn how to identify Limited Solution Set games to increase your speed and accuracy in games with highly restrictive Global rules. Information about taking the LSAT in Russia, including LSAT test locations, LSAT dates, and LSAT prep options. Learn to overcome the issues of selective attention and change bias dragging down your LSAT score. Information about taking the LSAT in Israel, including LSAT test locations, LSAT dates, and LSAT prep options. Are You There, Test Taker? It’s Me, the LSAT. Take advantage of your opportunity to “interview” the LSAT test makers about the strategies they use to differentiate among test takers.